Nothing strikes fear within me like a visit to a foreign police station. No matter the purpose of my visit, I always walk through the doors of the Croatian Policija shrouded in my scarlet letter of foreigner shame. The chances of accomplishing what I need to get done are typically low. The one lady who speaks English and doesn’t look like she’s ready to bite off my face might be out that day. The rules may have changed the day before requiring a wild goose chase for just one more document from an obscure government agency. The requirements can change depending on the person and their mood. Getting what you need is all about talking to the right person at the right time. It’s just about time for my husband and I to renew our visas for the first time, so a policija visit was inevitable. I trembled in fear all the way there. There was no telling what rules changed after Croatia’s entry into the European Union on July 1st. In a country where the laws can change daily and retroactively, it was entirely possible that the new visa requirements had not even been written yet. My husband is an EU citizen, but I am an American. Our hope was that our renewal would be made easier by his EU citizenship. Luckily, we got the right person at the right time. On top of it, the main policija station in Split had all the new forms for EU citizens (and their spouses) seeking residency. The new rules are as such. 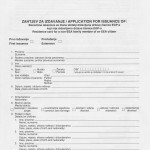 EU citizens and their spouses can get automatic 5-year residency per the below application requirements. Now, everyone’s situation is different. Every police station is different. And these rules are for renewals. If you are applying for residency for the first time, there are likely additional documents you need to provide. So make sure you double-check your situation with your local station to confirm your requirements. 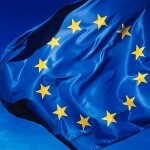 Application for visa renewal for EU citizens can be done on or before the day of visa expiration. Application for visa renewal for spouses of EU citizens must be done 30 days prior to visa expiration (and can be done before your EU spouse renews). The first page of the forms you'll need look like this. Each form is 4 pages. You'll need to get an original from your Policija station. Once approved, we’ll be provided with official Croatian ID cards instead of getting the same paper stamp in our passport as last year. All in all, the most positive experience I’ve had at the police station. Ah, great post, thanks for sharing. We are 3 months off our 3rd year renewal (and yes always dread the getting the visa sorted!). Let's hope the local police station here has all the relevant information & paperwork – would love that 5 year Croatian ID card! I'm sorry but I don't know if I'm on the right platform to ask these questions. I'm from Africa and my husband is Croatian. we recently got married in Nigeria and I have been to Croatia only once. I need to move finally to be with him in split but I just need to know the requirements for this visa as I was there first time as a tourist. my wife is Croatian and next year I will get my permanent residency, my question is when I can apply for Croatian citizenship and after how long I can obtain Croatian passport? After you gain permanent residency, you’ll need to wait two additional years. Then you can apply for citizenship and a passport. I’m from the UK with a UK passport and i have been reading lots about applying for Temp residency if i want to stay over 90 days, i am confused as to exactly what documents i need. You are still technically an EU citizen, so you do not need to apply for residency. You will still need to register your address with the police. To do that, take a notarized copy of your lease and your passport to the main police station in your jurisdiction. Hi Sara, I have been reading all your articles on the various types of Visas and I find the information very useful. Me & my wife are from South Africa and after a number of visits to Croatia, have decided it is time to pack our bags for Croatia permanently. We made an appointment with the Croatian Embassy in Pretoria to hear their version of requirements as well. My wife had a Dutch passport all her life but unfortunately this expired in 2009. She was under the impression that the 10 year rule is from expiry, but it proved to be from date of issue, which was 2004. She in any case applied, but it was turned down. They however invited her to appeal the decision. The lady at the Croatian Embassy informed us that you can enter Croatia on an EU passport without any questions asked, bar for the obvious paperwork and minor requirements. According to her one can stay as long as one likes and one is allowed to work as well. She also mentioned that the rules for everyone else (without an EU passport) have changed recently and that it would be extremely difficult to go and live there on a permanent basis (immigrate), unless your move there goes with “substantial” capital investment. She could not say how much “substantial” is. We will have enough capital to buy a property for tourism purposes which will be our main income. We will also have enough cash to support ourselves for a year. Are you aware of the new rules? Any input or advice would be highly appreciated. This is a life changing decision and we obviously want to make sure that we do not run into problems that side. Returning would not be an option. The best and preferred option is to enter Croatia on her valid EU passport. It is true that under that passport, she could live in Croatia visa-free and be able to work. As her spouse, you would need to apply for a visa through “family reunification”. If she is a citizen of the Netherlands, then she should be entitled to a passport. I hope that the appeal is successful! it is my intention to stay permanently in Croatia so do i need to get 1 year temp residency ? then after the 5 years i apply for permanent residency ? As an EU citizen, you do not need to apply for residency. You only need to register with the police. That being said, depending on how Brexit shakes out, you may at some point need to apply for a real visa. Considering the delicate nature of that specific situation, I recommend that you speak with the Policija directly about your intention to stay permanently to ensure that you do everything necessary so your time in Croatia will be counted once that time comes. Have a good Christmas and Happy New Year…………………. The amount is 240kuna. However, please note that the application fee can vary depending on the person you speak with at the policija and when you go. Things change all the time. A deposit of some amount. I am actually going through the permanent residency application process right now. My language test is scheduled for a week from tomorrow (EEEK!!). First, if you are married to a Croatian, I’m surprised you would have to take the test. Of the people I know who have gone through this process that have Croatian spouses, they have all been exempt from taking the exam. Did the police tell you it is required for your situation? Second, the test is offered by Edukacijski Centar and the Filosofski Fakultet. Personally, I went to the Filosofski Fakultet in Split. I had to provide a copy of my passport, fill out an application and pay a fee of 860 kn (which I paid at a bank and showed the proof of payment). The exams at the fakultet are given once a month, are B1 level, 40 minutes long and written only. The test only covers language (not culture, history, etc.). Knowledge of present, past, future and all cases is required. That being said, it was alluded to me that the test can vary depending on where you take it. I am actually working on a post about the permanent residency application process right now. Will have it up next week after I see what this test looks like. Hope this helps! If it’s not too much trouble, please let me know if you are still required to take the test even though you are married to a Croatian. Will be sure to include that in the new post. Thanks for your quick and super helpful response! It seems that we may be sitting together for this test as I am also planning to write the exam in Split next week (: I have not pre-registered… I was under the impression that I was to just show up with my 860kn in hand – I’ll contact them to double check! Perhaps I should wait another month and get the inside scoop from you – I’m so sooooo nervous about this! Interesting to hear that foreigners married to nationals have been exempt from the exam – I will make (another) visit to my local policija prior and see what they have to say (and keep you posted). I was told by the fakultet that you must register for the test more than 10 days in advance. Considering the next test is 8 days out, I would recommend first confirming that you have to take it in the first place. Would be great if you could avoid it and save 860kuna too. I am very nervous as well. Got a stack of flashcards on my desk. I’ll be sure to post about my experience next week! I hope your test went well yesterday – I was thinking of you! Today I have confirmed with my local police that yes, I must take the exam even as the spouse of a Croat. So I am anxious to hear your review of what I can expect when I take the test next month! I passed!! I can’t believe it! I wish you luck on the test! I’m Filipina and married to Croatian, I would like to ask if you have any idea regarding Temporary Residence? Mine will be expire October this year,and now must apply Permanent I heared that to apply Permanent must take an exam, is it true? So worried still does’nt know how to speak croatian.. Looking forward for your reply..God bless and More Power. The police have told me that spouses of Croatian citizens are exempt from taking the exam. When you start the permanent residency process, they will let you know the requirements at that time. I will making a new post this week about the permanent residency process including the list of requirements. Stay tuned and good luck! I’m so consufed about permanent residency process. is this really true that spouses of Croatian citizens are exempt from taking the language exam? I’m waiting for your new post about the permanent residency process including the list of requirements. The post on the permanent residency application is up. You may view it here. My kids US passports are expiring and they will be in the US over the summer and will be renewed. Their 5 yr residency cards are valid til 2021. Do I need to do anything with these residency cards? Can you just show your old passport until the 5 yrs permits are renewed? If not what is the process? Not sure I understand the question. Since your kids will be renewing their passports, that means that their passport ID numbers will change. I would make sure you notify the Policija that your kids whom have permits are renewing their passports this year, which will change their passport numbers. Ask them what you need to do. My guess is you’ll need to take the new passports to the Policija upon their return so they can make copies and update their files. Hope that helps! I’m married to a Swiss citizen/have temporary residency in Switzerland (Type B). 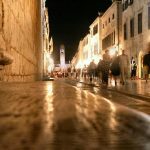 I’m looking into buying a business in Croatia so there seems to be many routes to work and residency. 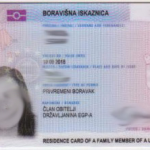 I’ve read that family members of EEA Nationals/Switzerland are automatically entitled to the 5-year work and residence permit, but does my wife also have to be in Croatia for me to have access to that? Or should I just apply for standard work and temporary residence permits via business? You must live in Croatia for you and your kids to qualify for Croatian temporary residency. You would only qualify for permanent residency until you’ve lived in Croatia on a temporary permit for 5 years. It seems like you have all the answers when it comes to residency in Croatia and ultimately obtaining citizenship. It is a pity they make it so difficult as it is a country with great potential but allot of red tape. Then again if it was easy then I guess it would not have been worth the effort. I am going to try and explain where we are right now and then it would be great if you could steer me in the right direction or have advice for me in this regard. I am South African and looking to ultimately live in Croatia with my family. One of the main reasons being very central to some other countries I work in like Eastern Europe and Russia. Traveling without an EU passport becomes very problematic. I have an OIB in Croatia and have opened a business there last year. The business has paid all capital share as stipulated and have employed 3 Croatians on a permanent basis. We bought a flat about 3 years ago which was registered in my own name and subsequently bought a 15 bedroom B&B which we converting into 6 apartments. The idea is to either sell or rent out the apartments once the renovation has been completed. We are possibly starting another a project this year. The business is registered for these purposes including conferencing and a few other tourism aspects. It was quite a process to get this of the ground but we there now. What I need to understand is the process from here on. The consulate gave my wife and I an 1year visa when we applied last time. How do we go about applying for a residency visa and do they only start counting the 5 years from when you stay in Croatia permanently. How many days do I need to be in Croatia every year ? My kids will be going to school in Zagreb and I need to get my timing right year as I need to try and obtain residency before my oldest turn 18. He is currently 11 years old and it seems like the entire process takes about 7 years, maybe in my case different – please advise as well. I am registered to Speak CRO a Croatian language school and have been learning the language the past year so the language test at the end should not be a problem. Getting information regarding what my next step should be is very difficult and it is so refreshing speaking to someone that understand the system and can assist. Thank you so much for your time and any input you might have. Based on everything you explained, you and your family will need to reapply for temporary residency every year for 5 years. After 5 years, you will qualify to apply for permanent residency. Please note that you must have a current permit at all times, so when you start your permanent residency you will also need to apply for an extension of your temporary residency while you go through the permanent process. To stay compliant for temporary resideny, you cannot leave Croatia for more than 30 days each year unless you have mitigating circumstances (which you’ll need to notify MUP about and get approval). Thanks for all the very informative posts you’ve shared. Me and my husband will move to Zagreb next year because his company is transferring him to their Croatian HQ. We currently live in China, he’s Spanish and I’m Colombian and I will be registering to obtain my temporary residence once we get there. My question is very simple, once I obtain the temporary residence will I be allowed to work? As simple as it seems I haven’t been able to find a clear answer for this. Regarding our marriage certificate (Libro de Familia, in Spanish), is it better to get it translated in advance or while we’re there? Thanks again! Unfortunately, I cannot give you a clear answer. It usually depends on the situation, who you talk to, when you go and the current laws (which change all the time). You won’t know until you come to Croatia and start your application. 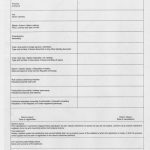 You’ll need to translate your documents in Croatia as they must be notarized by the translator. For your reference and guidance, the rule for residency application has been recently amended particularly for Croatian citizens spouses. 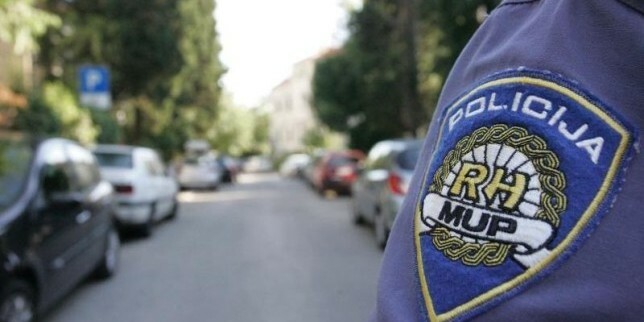 According to the police (MUP) at the beginning of 2018, instead of the usual 5 year residency cap for Croatian spouses, they will only issued 1 year validity. It was indeed very disappointing from my part as Croatian citizen spouse, I felt that this ain’t fair and just for a Croatian family member. It is equivalent to a short-term visa. I find it very expensive to spend almost 8000 kuna for a years residency, not to mention the hassles we’ve encountered during the process. Btw, I just got mine yesterday (as of ghis writing). We started the renewal application December 2018. My ID card is still underway. It took me 5 visits to MUP office for the complete the process. 1 day visit to Porezna (Tax Bureau) 2 visits to Remetenić (komu. n) For the record, I am based in Zagreb. It is definitely less than ideal. Doesn’t make a lot of sense at all.